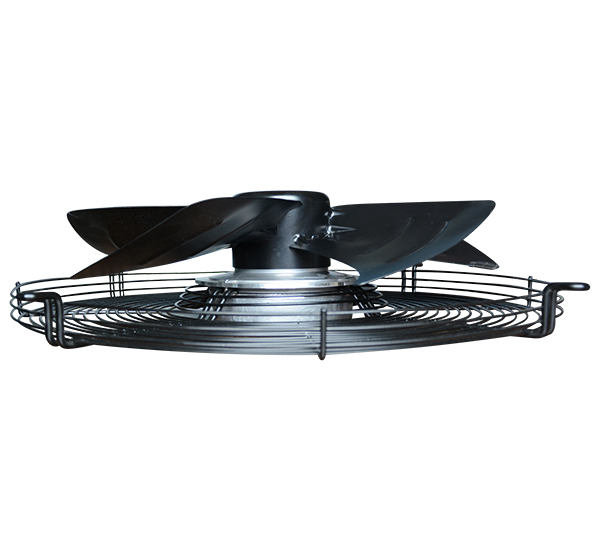 EC axial fan is driven by brushless EC motor. 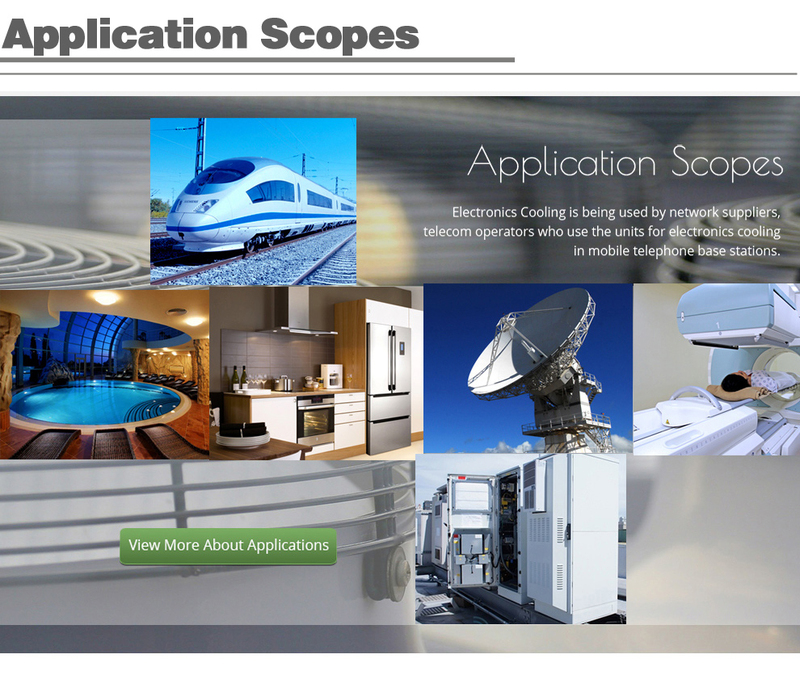 It uses a permanent magnet excitation and it is easy to control. 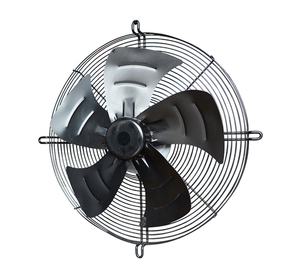 An axial fan, in general, is the most commonly used as cooling fan, as well as the most cost effective. 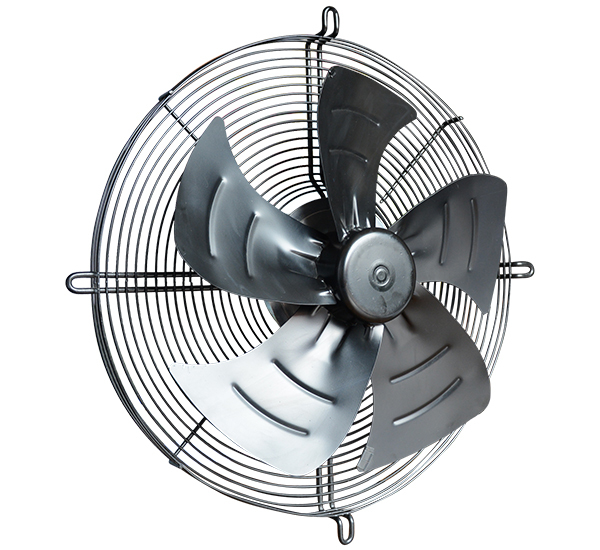 Also called “box fan” on occasion, they move air on a straight axis through the fan. 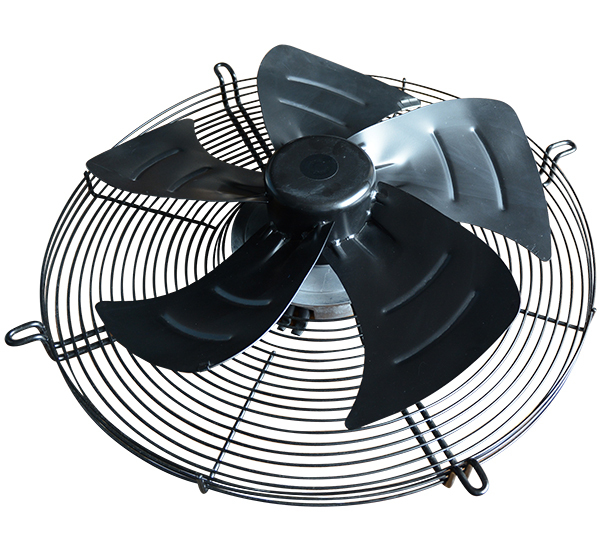 This kind of fan functions best under a low pressure or low system impedance environment. 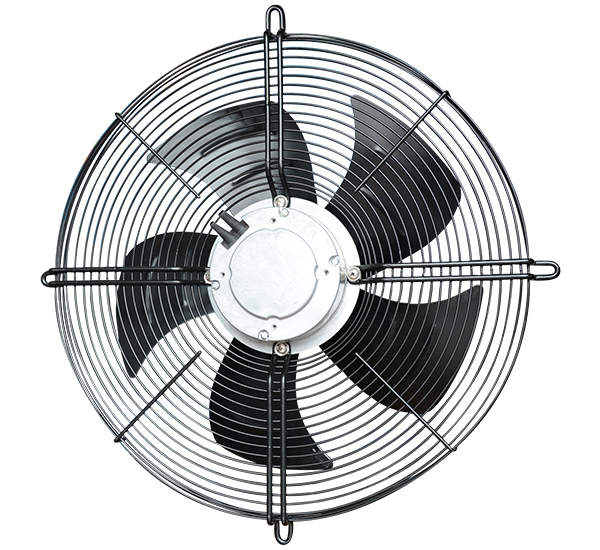 With reduced fan speed the noise produced by an axial fan can be kept at a minimum. This model no. 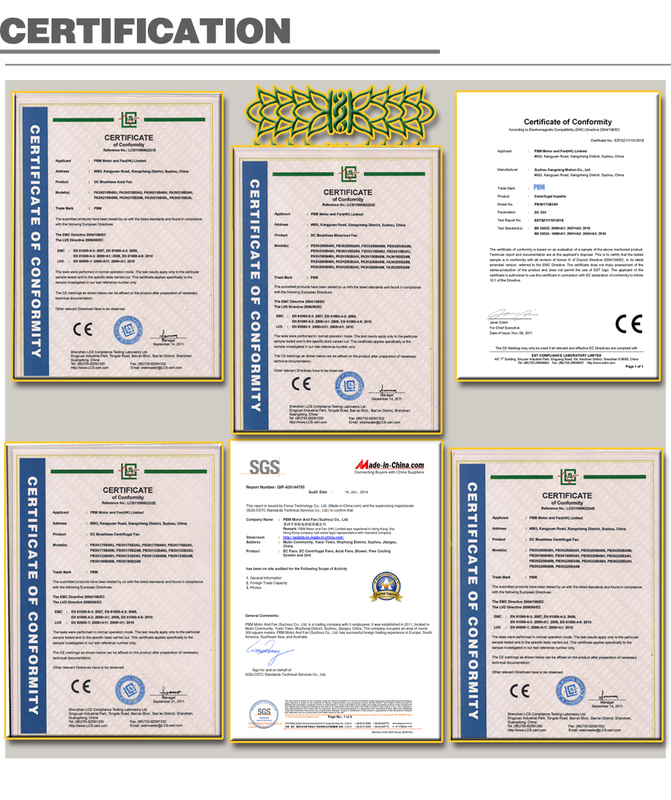 is PG3N450B2EM. 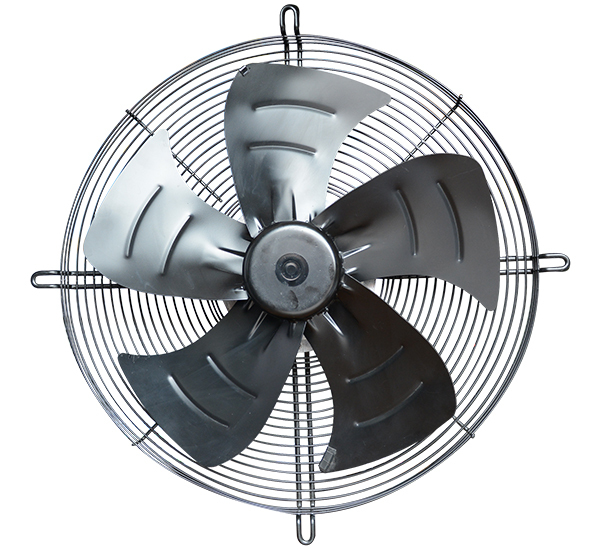 It works with 230v AC voltage input. 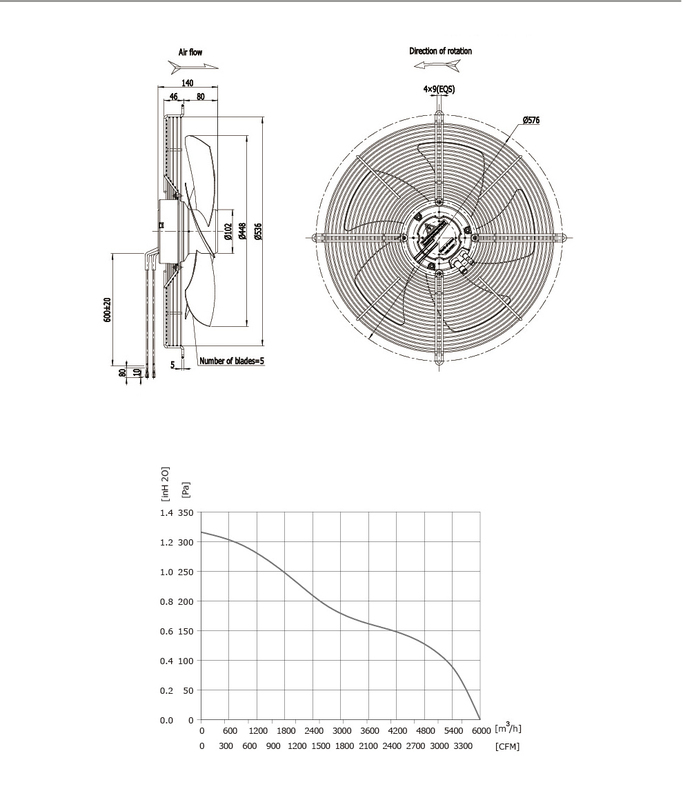 Impeller size is 450mm with a frame in size 536x140mm. Frame material is steel and coated in black.